In the aftermath of the horrible shootings in France, and in light of this post last week, I rejoiced to see real moral courage and clarity from Palestinian Prime Minister Salam Fayadd. 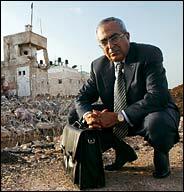 After the terrorist Mohamed Merah claimed to act on behalf of Palestine, he commented. It is time for these criminals to stop marketing their terrorist acts in the name of Palestine and to stop pretending to stand up for the rights of Palestinian children who only ask for a decent life. This terrorist crime is condemned in the strongest terms by the Palestinian people and their children. No Palestinian child can accept a crime that targets innocent people. Walter Russell Mead has a great perspective here. I wouldn’t change a thing. [The shooter’s] political thought is that of a young man adrift, imbued neither with the values of Islam, or driven by racism and anti-Semitism … A pathetic young man, guilty and condemnable beyond the shadow of a doubt, even though he himself was the victim of a social order that had already doomed him, and millions of others like him, to a marginal existence, and to the non-recognition of his status as a citizen equal in rights and opportunities. …he was French, as are all his victims (in the name of what strange logic are they differentiated and categorized by religion? ), but he felt himself constantly reduced to both his origin by his skin color, and his religion by his name. Again, thanks to the esteemed Mr. Mead. Neither I or Mead seek to overlook French treatment of their Moslem population and the real problems it has caused. Nor do I wish to be unduly harsh on Mr. Ramadan, because unfortunately, many far worse things than Ramadan’s words have been said in France in the aftermath of the tragedy. But Mead rightly notes that, while Ramadan in no way approves of the shootings, he does not see (or perhaps he does all too well?) that he provides a kind of exoneration for the killer. Society allowed him no identity, thus he possessed no real will to resist the urge to some perverted form of imaginary revenge. So many issues could be raised here, but with no disrespect to the victims intended at all, I immediately thought of the issue of fatalism. With so much focus on the “will of Allah,” Islam has always had fatalistic strands imbedded within some of its varied expressions. One could say the same thing about certain strands of Protestant Calvinism. But I do not think Calvin himself fell prey to this fatalism. And that is the point. The fatalism came later, with Calvinism in decline. But some might object. “The Babylonians reached their territorial peak under Nebuchadnezzar, as did the Romans under Marcus Aurelius, a Stoic emperor, as did the Soviets under Stalin. So how can fatalism represent decay?” Hitler talked about being a mere tool of “providence,” and certainly strove for expansion. It happened with the Soviets, who took all of Eastern Europe. The most rapid period of expansion in the U.S. also matches the time when markets were at their freest,or most laissez-faire, ca. 1870-1900. Radical Islam (which is the most fatalistic) today wants a restoration of Moslem power at its medieval apex, a significant expansion of power. Maybe this connection is purely coincidental, but I think not. But that means we have to offer some kind of explanation for this paradoxical idea that a passive approach to the world results in territorial expansion. I myself have no magic bullet, but will tentatively offer a personal theory. G.K. Chesterton noted that children have the capacity to delight in monotony. The world is fresh and life-giving in their eyes. Give them a ball or three blocks, and they are content. Their world can be small because everything delights them. Life is one continuous party. The fatalist tells the sad tale of boredom. Small things in life no longer delight. For them, the world must grow larger in a desperate search to fill the void. But this search for more ironically detracts from their humanity. For soon they exhaust their own ‘inner man’ and, like bugs drawn to porch lights, they seek the collective, the ‘force,’ the vast bowl of tapioca pudding. They find meaning in having no purpose, an end to their boredom, an end to themselves. As Eric Hoffer noted, it is the bored, not the poor, that are primarily attracted to all-consuming mass movements. 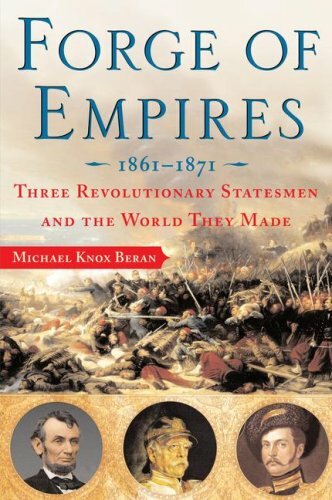 Beran’s book looks at Abraham Lincoln, Otto von Bismarck, and Alexander II, three contemporary heads of state who remade their respective countries. Beran attaches the word “revolutionaries” to each of these rulers, though not all revolutionaries are created equal. 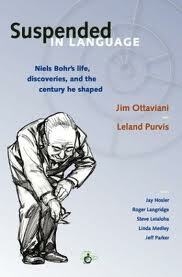 One can read this book even if you’re only interested in one or two of the people, as I was. I thought his comparison of Bismarck and Lincoln refreshing. Historian James McPherson called the Civil War a “Second American Revolution,” and I think Beran would agree. If we think about the Civil War like this it puts a new perspective on Lincoln’s presidency. To my mind the Confederacy acted much like the British did in the late 18th century. I think the British had technical legality on their side, but to focus on that alone missed the most important details. They were right, for example, to insist that the colonies never had a separate existence apart from England, like say, Ireland did until it was incorporated into the British empire. But though correct in the barest factual sense, England overlooked the reality that American had de facto operated independently in almost every way since the 17th century. While some townships in England had no direct Parliamentary representative (and so the colonists shouldn’t feel it their absolute right to have one), England ignored the great differences between an English township and colonies across the ocean. So too the Confederacy may have been technically correct about federal power as it related to the slavery question. But as one student of mine said, “It’s slavery, who cares about the Constitution.” Anti-slavery advocates called for the country to be guided by a “higher law” than the Constitution. When the southern states objected to this idea, they immediately lost the real argument. They put the Constitution itself, which they claimed to follow, in the perilous ground of complete irrelevancy. If it could not solve the slavery issue, what good was it? By 1861 the Constitution had proved inadequate to deal with fundamental questions of human existence. So yes, Lincoln did skirt some constitutional guidelines. But he must be understood in a revolutionary context. Revolutions happen in part because the current system fails to deal with reality. Revolutionaries often find themselves cast off from traditional moorings because the tradition’s failure led to the revolution in the first place. Revolutionary movements therefore have great opportunity and immense danger inherent in them. So yes, Lincoln did play fast and loose with certain constitutional provisions (as did Jefferson Davis in the South). But we should marvel at how much he preserved, rather than what he bent or broke. 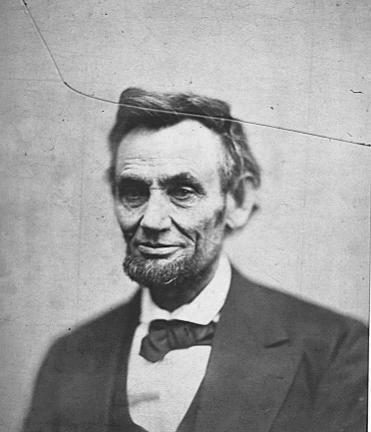 The Civil War did change America, but I would argue that it was Lincoln’s moral sense, and a Christian moral sense from around 1862 on, that preserved much of the best of what the founders bequeathed. 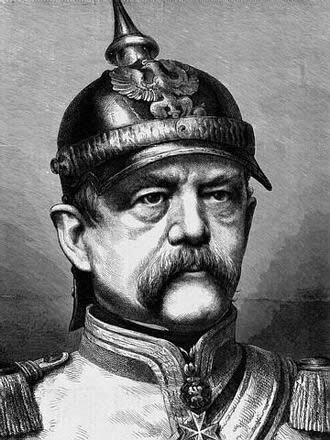 Bismarck, like Lincoln, was a brilliant politician who forged a nation from a confederacy of provinces. But that is where the similarities end. He manipulated other countries and even his own king. He cared enough about democracy and constitutionalism to use it when it suited him, but he always came back to force, his weapon of choice. Bismarck was in certain key ways a friend of the Jews, and so I very much want to believe he would have hated Nazi rhetoric. But his insistence on using force to bypass the democratic process bore terrible fruit generations later. Most of their portraits reveal this basic difference. Bismarck, for example often posed in military garb, which suits his whole political philosophy. On the left, realpolitik with a heart, on the right, realpolitik with nothing but politics. It sounds sentimental and mushy, but it takes a gentle hand and mercy to make sure that revolutions do not become tyrannies. 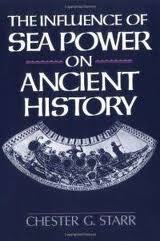 Starr wrote his book to respond to Alfred Mahan’s The Influence of Sea Power Upon History 1660-1783. Many consider that work an indispensable classic, an essential plank in the argument for sea power trumping land power. What drew me to Starr’s tome was his criticism of Mahan’s “lackluster prose,” and essential “indigestibility.” I too dipped my toe in Mahan’s waters and had the impression that it was a book that everyone says they’ve read without actually doing so. After that, Starr gets into his thesis, which is that sea power has not been nearly as decisive as we might think. For Starr, Mahan was not all wrong, but at least mostly wrong . . . in certain ways. And with this moderately wishy-washy thesis lies most of the problem with Starr’s book. In the end, he can’t quite deliver the coup de grace to Mahan. He only wishes us to modify Mahan . . . somewhat. This stance has the advantage of being eminently reasonable, but the disadvantage of being rather dull and not very helpful. And he only wants us to think about the ancient world. The modern era he leaves untouched and unresolved, even though that was the era Mahan mostly dealt with. So, this book is hardly Mahan’s nemesis, but Starr still has some good points. The first is that most major ancient empires eventually acquired navies, yet none of them met their end at sea. Persia finished off Egypt by land, the Greeks finished off Persia by land, Sparta took Athens on land (at least at the very end of the Peloponnesian War), Hannibal brought Rome to its knees via a land invasion, and Rome itself met its doom from the northern barbarians who were light years away from having fleets. So how could naval power be all that decisive? If we carry his point to the modern era, naval dominance did not help Portugal, Spain, or the Netherlands maintain their role in world affairs for very long. Sea Power is more potent than land power, because it is pervading as the element in which it moves and has its being. . . . A maritime State, is, in the literal sense of the world, the neighbor of every country accessible by sea. It would be natural that a State supreme at sea should inspire universal jealousy and fear, and be ever in danger of being overthrown by a general combination of the world. Against such a combination no single nation could in the long run stand, least of all a small kingdom not possessed of a people trained to arms, and dependent on overseas commerce for food. The danger in practice can only be averted . . . on condition that the national policy of the naval State is so directed to harmonize with the general desires and ideals of all mankind, and more particularly, that it is closely identified with the primary interests of the majority of mankind. By the time most states have the infrastructure to have a big navy they also have the arrogance to match. England avoided Athens’ fate in part because of her geography, though she certainly had arrogance. America today finds that our global reach makes us many enemies as well as friends. Naval power opens a state up to other temptations. More efficient global markets reduce the need for self-sufficiency and fosters increased specialization. But if the global network fails, the naval power may look homeward and find an empty shell. Thus did Starr anticipate some of the problems of modern globalization. Starr had some good ideas, but needed more audacity to carry them through. Well, perhaps Mahan’s massive reputation cannot be felled at a single blow. Like many of you, I decided that I was not a Math/Science person sometime around 8th or 9th grade. I hit Algebra and never looked back. Only recently have I started to regret that choice, or rather, the false dichotomy of that choice. Reading this essay helped me see why the so-called division between the humanities and sciences has happened. Maybe my lack of math sense is not all my fault! 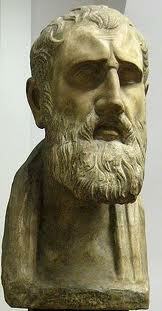 Math should be taught like a a humanities class. Instead of random symbols we need story and context. 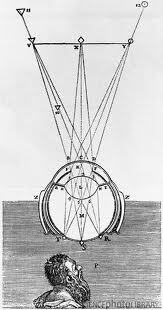 In short, Math and Science involve art as much as Literature or History. Inspired by Lockhart, I no longer believe myself a lost cause in the area of science. But I am also a realist, and so turned to the comic book medium for help. I am very encouraged to think science can function like the humanities, and making this link is the best shot we have at getting more students interested in math and science. This book tackles many of the same themes as The Masque of Africa, and like that book this one too is a short but powerful work. 1. Does Christianity fulfill or go against native religions? This debate has gone back almost to the beginning of Church history itself, and Achebe does not try and solve it. But he does a great job giving us the tension not only in different missionaries, but in the society itself. Is the paganism of the African tribes a foundation to build upon or a negative force to be supplanted? Or is it both/and instead of either/or? Sometimes the reader sees the dignity and cohesiveness of tribal religion. The Africans understand religion far more than the average agnostic westerner. But just as often we see the terrible darkness and fear that the African religion produces. Achebe must be given tremendous credit for not flinching in this area. Again, more than many westerners, Achebe understands the importance of religion, because once the religion is changed, the culture must as well. The missionaries quickly bring in education to the clans, as well as a different law system. How much of this must by default come with Christianity I can’t say, but surely, for example, education must come with Protestantism. In a controversial essay, Achebe called Conrad’s “Heart of Darkness” at root a racist book. Though Conrad certainly took a strong anti-colonial stance, Achebe believed that for Conrad, Africa had no independent legitimate existence of its own to be taken seriously. Instead, Conrad, like the rest of his time, can’t help but view the world as their “blank slate” to work out their own issues. Achebe is too good a writer to paint things in stark black and white, but he does work this attitude into the story. Even when “doing good” the British tend to think of themselves on their own terms, rather than consider the Africans on their terms. 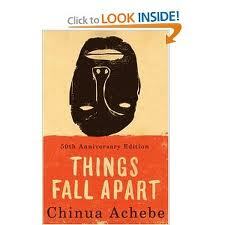 Things Fall Apart is well worth your time. Both Christianity and Islam have made huge inroads in Africa over the past century, but Naipaul shows how much traditional religion still survives in Africa, and is even mixed here and there with some Christian ideas. It’s no good pointing fingers, however. We in the West should think about how much our cuture influences our view of reality. I remember a conversation long ago with a friend who asked me what I thought of Eastern medicine. I expressed my doubts, to which she retorted, “Doesn’t Western medicine proceed with an equally, if not more unbiblical view of mankind as a mere collection of chemicals to be manipulated?” She had a point. Many Christians (like myself) are unaware of what it means to change one’s religion in the midst of very deep rooted traditions. I wonder if we have taken into account the social and psychological dislocation that results from this religious change. 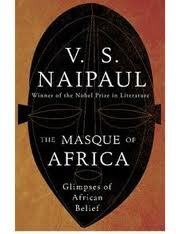 Naipaul subtly shows how Africa’s sense of itself has been uprooted in part by imperialism, and religious change. This sense of dislocation impacts all areas of life and may contribute in part to much of the continent’s political instability, among other things. And perhaps this is why traditional paganism has a lingering hold. Despite its black magic and confusing ritual it does provide something comfortable and familiar. It is a pattern of life, for all that. Having said this, one can see the stifling impact ‘traditional’ religion has. The medicine man has to be bribed and appeased. There are veils of secrecy and fear. What we would consider normal social interaction can’t exist in such an environment. Again, back to my first point, you can’t have meaningful ritual or binding ties without those rituals rooted in some kind of belief. So choose those beliefs carefully. I think one of the African Church’s challenges over the next few decades will be to somehow create a Christian culture that is fully ‘African.’ As the western Church has failed at this task in our own culture for the past 350 years or so, I have no advice to give them, and wish them more success than us. Maybe westerners are just too impatient with Africa, and because we usually think of religion as a condiment, many well meaning and good humanitarians (better people than myself) have no idea what Africa’s real challenges are. After Rome’s fall, it took Europe about 500 years to reach a ‘pattern of life’ that could bind people together socially and create viable political institutions that could be transferred over time. None of this happened until the continent was essentially Christian, at least in name. And when it had not fully happened, it took ‘Strong Men’ like Charlemagne to hold things together. Are we wrong to think Africa can do this in the 50 odd years or so since most countries gained independence? It may be that we hold them to much higher standards than we hold ourselves to in our own history. 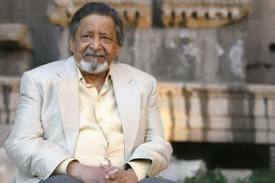 Naipaul manages to detach himself from his writing and report in deadpan style. He forces the reader into an uncomfortable position. Many times I just wasn’t sure what to make of what he saw, although I don’t know if Naipaul always knew either. I felt uncomfortable, but not in a bad way. Overall, this book made me have a greater appreciation for 1) African Christians, who even in ‘Christian’ places face unusual challenges, and 2) The idea that religion does more to shape a place than any other factor. In the end, individuals and communities are what they worship, whether consciously realized or not. One of the things that has struck me in reading Walter Isaacson’s biography of Steve Job’s is how much Job’s saw himself as an artist. These artistic impulses help explain a lot about Job’s personality, but also the design of his products. He cared deeply for simple, integrated elegance. Bill Gates and others criticized Jobs for making Apple computers closed systems and “robbing people of choice,” as some might say. But how many artists do collaborative projects? Once you have a finished work of art, it’s finished. 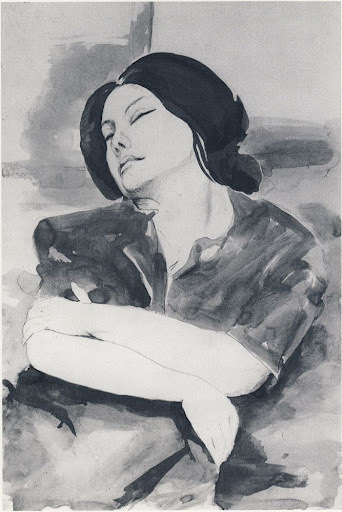 No artist would allow someone else to add a few brushstrokes here and there. Some like Apple, and some don’t. But I don’t think anyone could deny that Job’s largely successful attempt to integrate art and technology is a big reason for Apple’s success. Western culture is starved for this integration, and while the cult status Apple enjoys among some devotees unnerves many, we should realize that Apple products tap into a deep need we have to make our lives a unified whole. 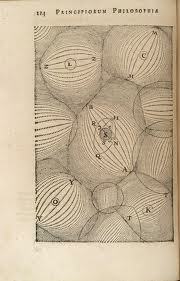 I don’t agree with Descartes’ worldview, but when I see his art part of me wishes I could. 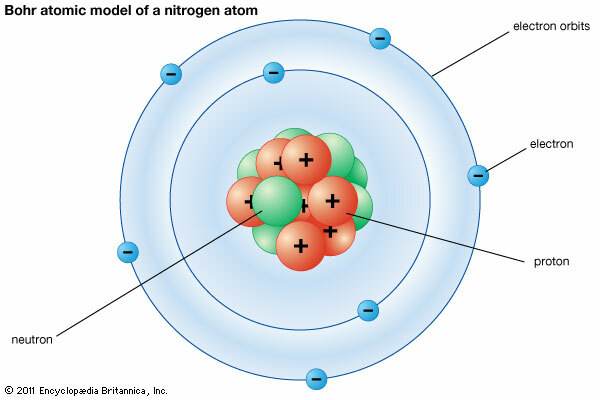 * I recently realized with delight that the great 20th century physicist Richard Fenyman took art lessons with a friend to help him communicate the emotion of scientific ideas. But he doesn’t come close to Descartes in my book. His drawing of people are pretty good, but he couldn’t get the same touch with his famous diagrams. 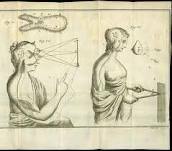 Looking at Descartes’ drawings, I almost get the sense of what he was trying to say. I have absolutely no idea what Fenyman tried to communicate with his famous diagrams. . .